On bank holiday Monday the weather was beautiful, the sun was shining so the in-laws and ourselves decided to head out to Cannock chase with the dogs. We have been there once before and it is a place I can’t get enough of. 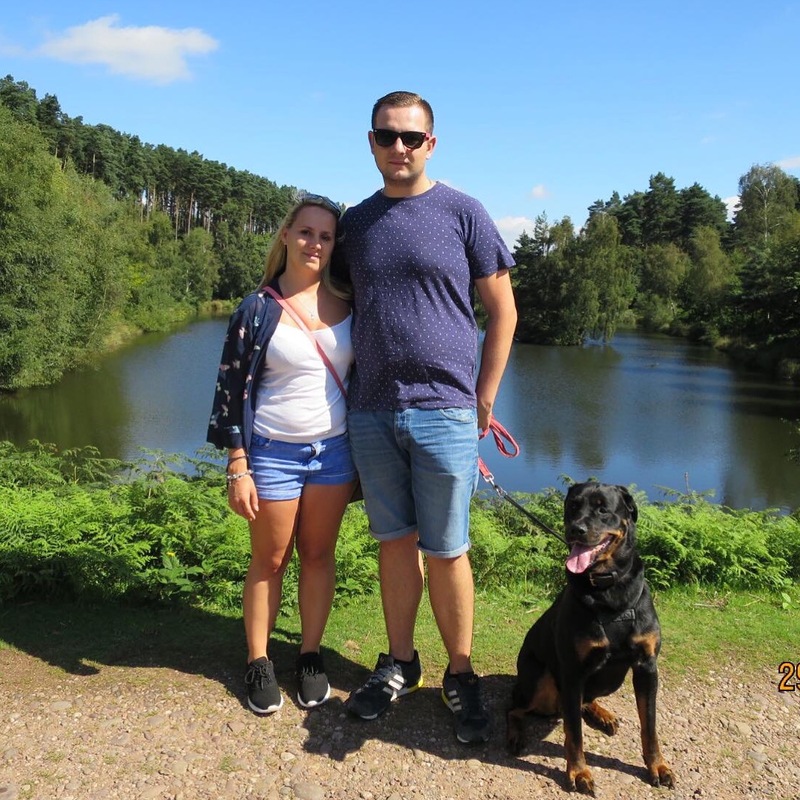 This is the 3 of us, my fiance, my dog and I by the lake at Cannock Chase. This is a very rare occasion to catch up all together in a photo.